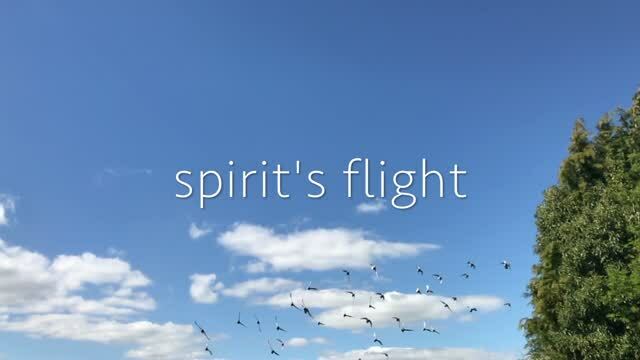 Spirit's Flight is a traveling art exhibition that is the combined vision of two artists, Deborah Holcombe and Ingrid Sletten, whose works arise from spiritual investigation and divine inspiration. Deborah is exploring divine proportion or PHI through images based on x-rays of pigeons. Ingrid's images show God's presence in the aura of a person. The image below is a composite of their work. It is also called ᶲ PHI, golden mean, sacred cut, golden ratio, and can be expressed in mathematical and geometric methods. The number is 1.6180339……. Some of nature’s most beautiful and powerful structures have this relationship. Divine Proportion is not a universal law of nature but it is a recurring pattern. The premise for this body of work is that these patterns, from the shape of galaxies to the spiral bend of shells, are evidence of Divine intention behind creation, God as action giving form to energy, the unifying principle. The aesthetic investigation of this principle takes place on images derived from x-rays of pigeons. The original radiographs are from the archive of licensed Wild Life Rehabilitator Karen Heidgerd. The placement of the wounded living birds is protocol for avian x-ray studies created for medical diagnosis and not artistic choice. Later recognizing elegance in these images Karen and I created cyanotypes from these radiographs. A cyanotype is a contact photographic print. It is blue in color. Seeing echoes of Divine Proportion in the pigeon, I photographed, cropped and enlarged the cyanotypes creating the banners here.